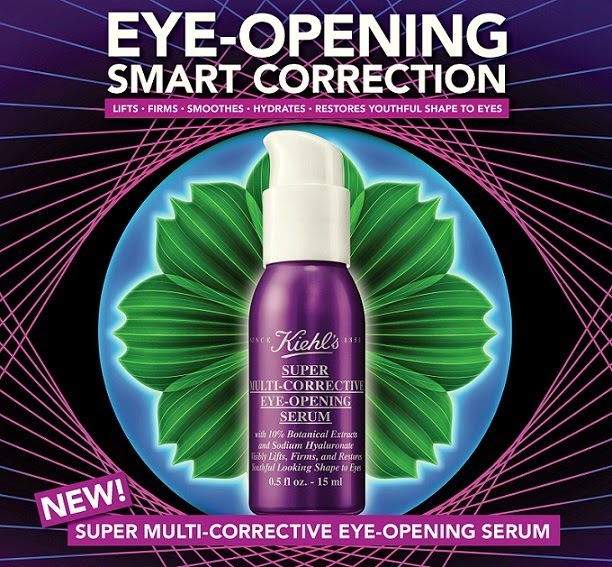 KIEHL'S Super Multi-Corrective Eye-Opening Serum is the continuation after the global success of Kiehl's Super Multi-Corrective cream. This "super smart" 5 in 1, anti-aging solution to visibly smooth, lift, firm and restore youthful shape to eyes imparting 360 degree correction and clinical results demonstrating 42% more ope eyes after 4 week use. It was develope to adress the aging around the full orbital area with key ingredients to help target the distinct behaviors of the entire eye area. Together with Super Multi-Corrective Cream, these multi-tasking formulas offer a complete solution to aging skin.